Ever have something so delicious that you catch yourself saying "Mmm..." out loud? Me too. All of the time. Starting today, I will post healthy and equally mouthwatering recipes that will get your taste buds excited or today, eggcited. I get a thrill out of making something so good and sharing it with my loved ones! I got this recipe from a style maven and life enthusiast, Jeannie Mai, that I admire. It requires minimal prep and packs a lot of flavor. 12 thin slices of deli ham (round) - I used Smoked Tavern Ham from Publix. 1/2 cup of your favorite shredded cheese - I used the Italian blend that contains Parmesan. Preheat the oven to 400 degrees. Spray a muffin tin with olive oil cooking spray. 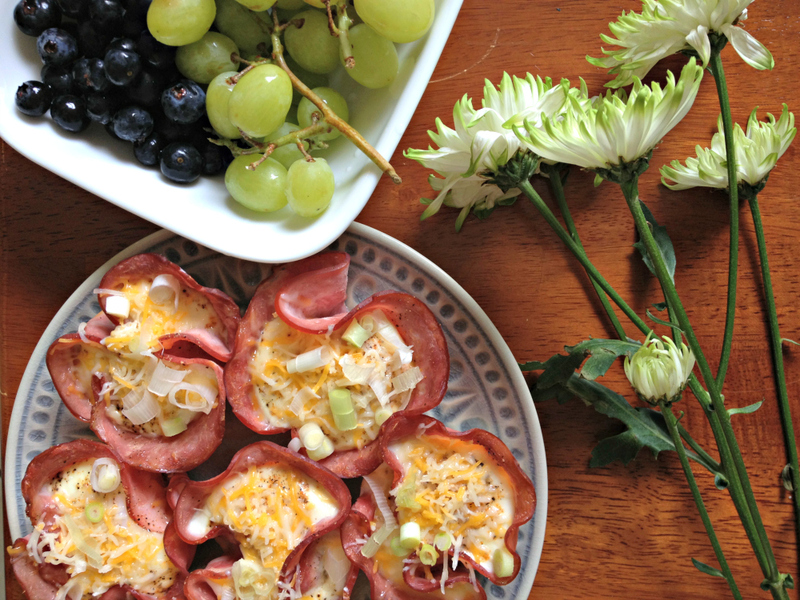 Lay a piece of ham in each hole creating a little ham cup. Crack an egg into each hole and sprinkle with salt and pepper. Bake the cups for 12 minutes, until the white is firm, and the yolk is a little runny. Bake for 15 minutes, if you do not like your eggs runny. Carefully remove each egg from the tin and top with shredded cheese and green onions. Voila! So easy! 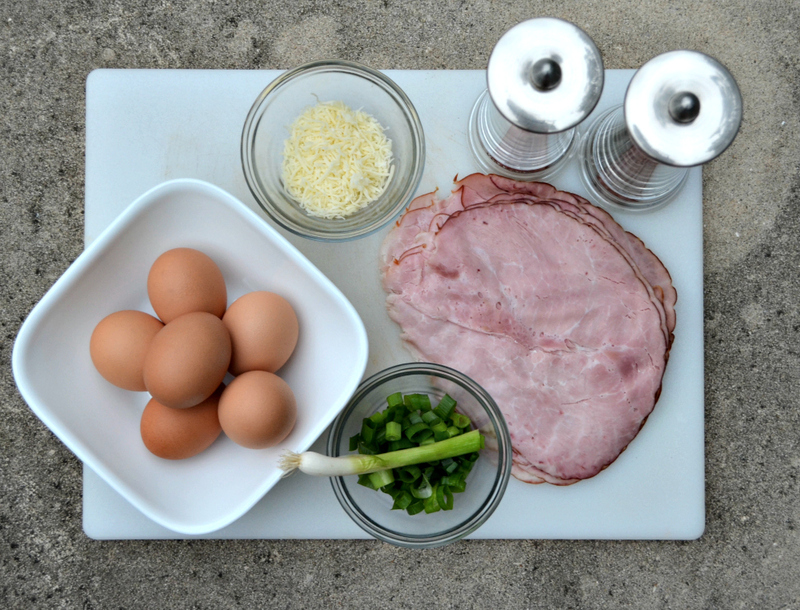 This photo was taken from the first time I made this recipe using the Publix pre-packaged sliced smoked ham. The second time I made this, I went to the deli and had them slice the ham round for me (refer to the Ingredients photo). They both taste great, but I prefer the freshly sliced and much thinner deli ham. Let me know what you think! We have visitors the next couple of weekends, and I can't wait to have them try this!